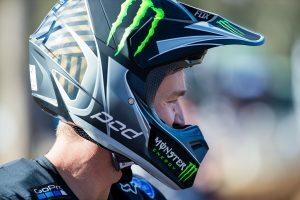 CDR Yamaha Monster Energy newcomer completes the podium at round one. 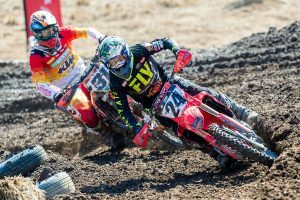 Former premier class champion Kirk Gibbs says Appin’s mud-filled encounter on Sunday for round one of the 2019 Pirelli MX Nationals wasn’t about winning or losing, it was rather about leaving the venue in contention for the crown. Shortened to just one moto, Gibbs, who made his CDR Yamaha Monster Energy debut, emphasised his focus was taking a conservative approach to gain strong points and avoid a costly DNF, ultimately completing the podium in the six-lap affair. However, given the opportunity to challenge for victory, the Queensland-based talent expressed he would put aside the cautious strategy in a effort to earn the full 35 points. “Today wasn’t about winning or losing for me, but ensuring that I’m well placed and in contention after the first round, regardless of the conditions,” Gibbs explained. “Then when you combine the weather, with the nature of the track and just how easy it was to go down or have a bike related DNF, getting good points and staying healthy was the priority and we managed to do that today. 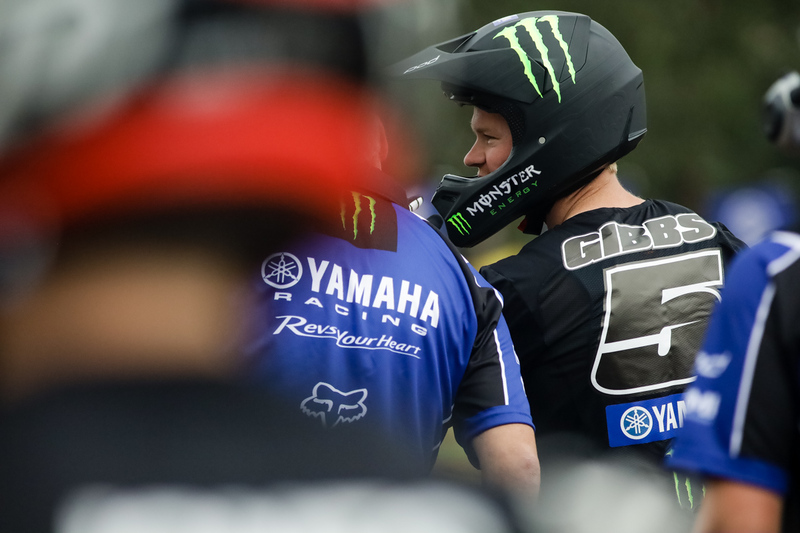 Gibbs was joined on the box by Hayden Mellross (Raceline KTM Thor) – who was granted second after being sanctioned with a 10-second track infringement penalty – and winner Todd Waters (DPH Motorsport Husqvarna).